With the help of Aheadworks Product Questions for Magento 2 and 1, you can substantially improve the default user experience of Magento by adding a new communication area. The improvement enables your store visitors to leave inquiries or share additional information about goods and services you sell. Although potential buyers can use a default contact form, it is much more convenient when product pages are tied to appropriate questions, and answers are provided not only by administrators but also by other customers. Furthermore, the extension has a reliable notification system that always keeps customers updated on their questions and answers. Moreover, due to the rating system, all information is sorted according to its relevance. It is also necessary to mention that questions can be available on all relevant pages, so your Magento website will be quickly filled with useful data. Below, we describe core features of the Product Questions extension and show how it is arranged on both backend and frontend. Store owners may utilize the Product Questions module in the way it serves better their business goals. For instance, you can allow posting answers only to customers who have bought something from your shop, thus providing reliable and more comprehensive information about a product. Another possibility you can take advantage of using the extension is to arrange Product Questions block as a forum, or communication platform, where all customers or store visitors can discuss specific products. When it comes to visibility, your customers always have a choice to ask either private or public questions. As for administrators, they are free to decide which questions should be published. You can also implement the same approach to answers, so they will have to go through admin validation, rather than auto-approval. We have mentioned that the extension has a rating system, but the feature can be disabled. At the same time, ratings may be edited manually right in the extension admin. Note that both questions and answers can be rated. As for a customer area, it is enhanced by a new tab, where your registered users can keep track of asked questions. Alternatively, it is possible to check email updates. You can also use the extension’s migration tool to move questions and answers created in the Magento 1 extension to your Magento 2 store. Let’s see how all these features are implemented in the backend and frontend. 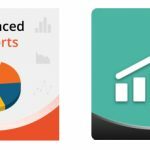 The Aheadworks Product Questions extension is available under Marketing -> Product Questions by aheadWorks -> Product Questions. While managing each question, you get two tabs: General and Sharing Options. On the General tab, it is possible to change visibility from public to private, manually modify question rating, as well as edit the text of the question. Besides, there are all answers available on the same tab. You can delete or reject each one, edit their rating and change content. Adding a new answer is also possible here. As for Sharing Options, here you choose a store view, decide for which products to display the question, and specify conditions for Selected Products option or a certain product name (if necessary). While creating a new question, you should specify its status (Pending, Published, or Rejected), date of creation, rating, and, of course, the question itself. It is also possible to add an answer at this stage. As for sharing options, you choose a store view and decide for which products to display the question. For All Products no additional options are available. For Certain Product, it is necessary to add product names. Actions (you can view or edit a product). As for Aheadworks Product Questions general configuration, it is divided into three sections: General Settings, Interface Settings, and Notification Settings. General Settings let you specify who can ask questions from product pages (anyone or registered customers) and who can provide answers (only admins, registered customers who already purchased something, all registered customers, or anyone). In this tab, you also enable/disable automatic answers approval, guest rates, automatic Product Questions emails subscription, and customer-defined question visibility. In Interface Settings, you choose the number of displayed questions and answers, decide whether to display URLs as links or not, specify how to sort question (by rating or date), and select sort order (descending or ascending). In Notification Settings, you specify email for admin notifications, choose the email sender, enable/disable admin notifications about new question and answers, as well as customer notifications about new replies to their questions and question/answer status changes. Auto-Responder settings are also available here. Besides, you choose how often web copies of emails are removed. The Product Questions tab from a customer account is divided into three sections: Your Questions, Your Answers, and Subscribe to. In Your Questions, you have a grid that contains links to appropriate products, questions, their statuses, and shows whether a certain question is answered. 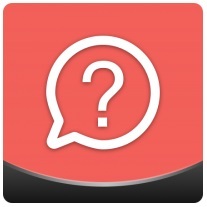 The last section enables you to get notifications about questions/answers updates. As for a product page, it lets you ask your question or view existing ones sorted by rating or date in ascending or descending order. In both cases, you can increase or decrease the rating of each question and answer or add your own answers. To submit a new question, a customer fills out the fields with Name and Question, checks ‘Private Question’ in case they want only store admin to see it, and clicks ‘Send Question’. 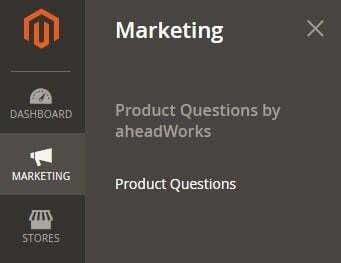 Aheadworks Product Questions for Magento 2 and 1 provides a great alternative to standard helpdesk services. There is no need to hire additional employees, since, with this extension, your visitors can help each other find out information about desired goods. 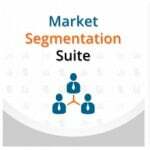 Also, due to convenient sorting options, potential buyers can get the most relevant information. As for the module price, it depends on the version of the platform you use. Thus, Magento 1 extension costs $139 (with 90-day support period), while appropriate Magento 2 module is $399, and it already includes free installation and 90 days of support. In case of M1 tool, installation costs additional $55. It is also necessary to mention that for its Magento 1 clients Aheadworks offers a 50% discount on its Magento 2 products, so the initial price of the Aheadworks Product Questions Magento 2 extension can be quite reasonable.